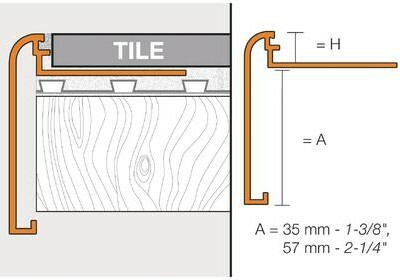 The Schluter-Rondec-Step is a finishing and edging profile that is meant for ceramic tile and stone installations on countertops and stairs. The profile features a trapezoid-perforated anchoring leg that is meant to be secured under the mortar-bed and beneath the tile. 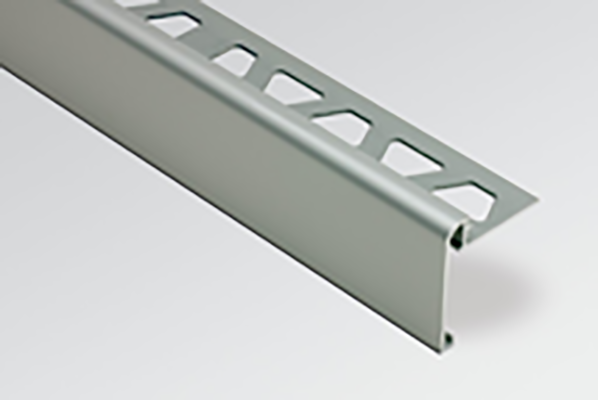 The top of the profile features a rounded edge with a ¼” radius that is meant to match the radius of the Schluter-Rondec profile. 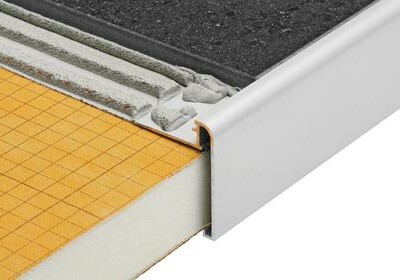 The Schluter-Rondec-Step effectively protects tiles in the edge area from any impact or mechanical stresses. 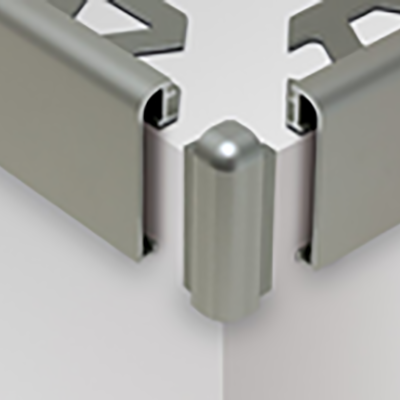 The joint spacer from the Schluter-Rondec-Step is meant to establish a defined joint cavity between the profile and the tile. 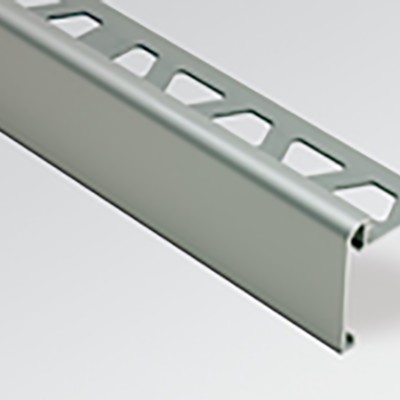 The profile is suitable for residential applications or low traffic stair-cases. The Schluter-Rondec Step is available in two different vertical lengths, 1 3/8” and 2 ¼”. 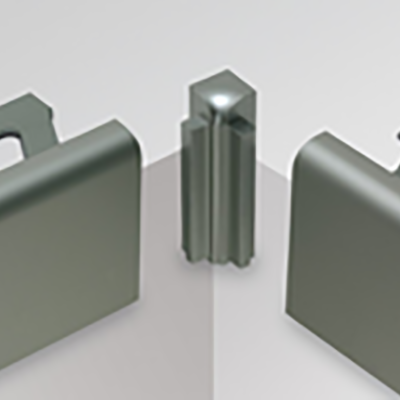 The profile is available in an anodized aluminum along with various finishes such as Brushed Antique Bronze and Brushed Nickel. One of the great benefits of this profile is that there are matching inside and outsider corners. 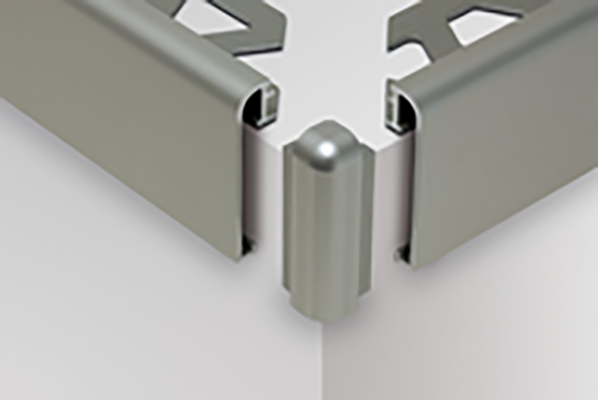 The Schluter-Rondec-Step is available in anodized aluminum and features an anodized layer that is meant to retain a uniform appearance throughout its normal usage. The surface of this profile is susceptible to scratching and wears by heavy foot traffic and grout or excess setting material. Cementitious materials when mixed with moisture become alkaline and may result in corrosion once they have oxidized together. It is therefore extremely important to move excess grout residue or grout from any visible surfaces in order to prevent the possibility of corrosion. It is very important with the Schluter-Rondec-Step to ensure that the profile has been properly embedded in the setting material and that all cavities have been filled in order to prevent the collection of alkaline water. Please visit http://www.schluter.com/2_8_rondec_step_installation.aspx for the full set of instructions from Schluter on how to properly install the Schluter-Rondec-Step. The Schluter-Rondec-Step has the benefit of requiring no special case or maintenance while being ultimately resistant to fungi and mold. The profile can be cleaned with any common household agent as long as the product is not abrasive. 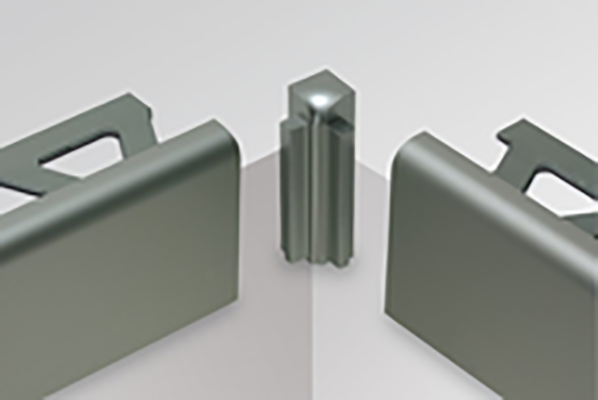 If an abrasive agent is used the anodized layer can be repaired by applying varnish.